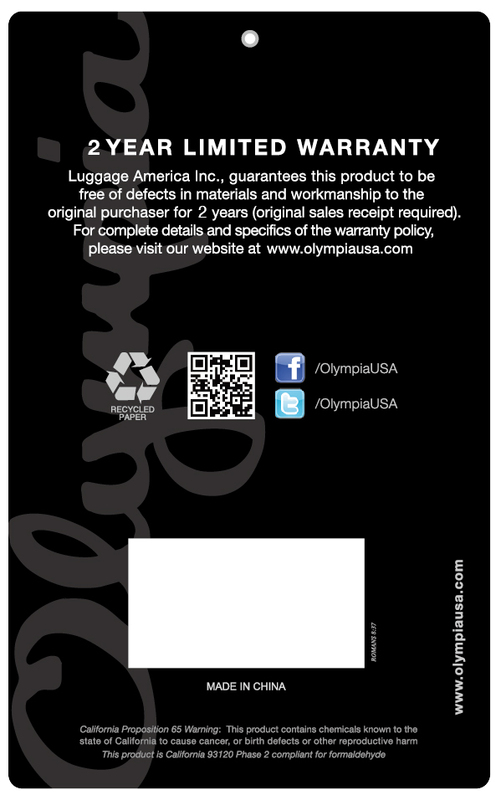 2 year warranty from Luggage America Inc. I love it. Make my job easy . Love it!!! It’s water resistant!! Nice love this size for getaways!!! I ordered a second one. Very sturdy and also very pretty. It’s really good for shopping! You can fit so many items - & it fits a lot of them! I’m very impressed for the price. Colors are cute too. It was a gift for my sister, and she loved everything about it! Wow!! Love it. Exactly the same as in the picture. Really good for everything on the go!